A number of small and medium enterprises (SMEs) have enjoyed financial access and a large amount of in-kind support, thanks to assistance from the government and development partners. An economic update released last month by the National Economic Research Institute (NERI), a government body led by former Prime Minister Bouasone Bouphavanh, stated that the mining sector’s contribution to the country’s economy will continue to drop over the coming years as a lower output is predicted for this natural resource-based sector. Northern Australia faces similar primary education challenges to Laos, including remote locations, multi-grade classrooms and language barriers. Yields of dry season rice and other crops have declined significantly due to a number of unfavourable conditions, a senior government official has said. 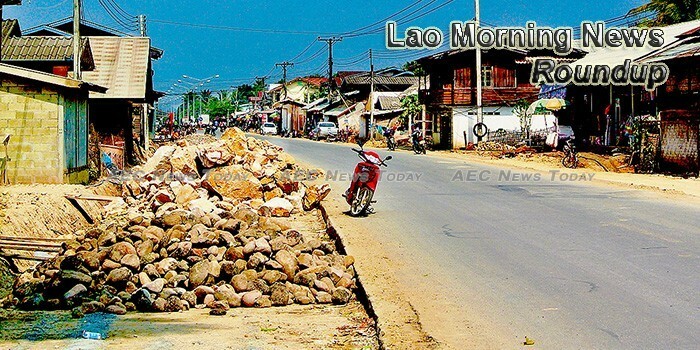 More than 20 Lao families from Hoi Khoom village in northwestern Laos’ Oudomxay province displaced by construction of a high-speed railway linking the country with China are the first to receive compensation for the loss of their farmland to the megaproject, a local government official said. Chairman of the Advisory Board of the International Peace Foundation, HSH Prince Alfred of Liechtenstein, said the organisation will assist Laos to improve the health sector. Laos has ambitions to be the region’s main producer of hydropower by 2025 – and through this, it hopes to raise its people out of poverty.